Spelt banana bread, in an effort to use up a half-empty bag of spelt flour and some frozen bananas. My early birthday present from my beautiful housemates - a ridiculously gorgeous vintage typewriter. It's eighty years old! And shiny! And goes ding! when you reach the end of a sentence! 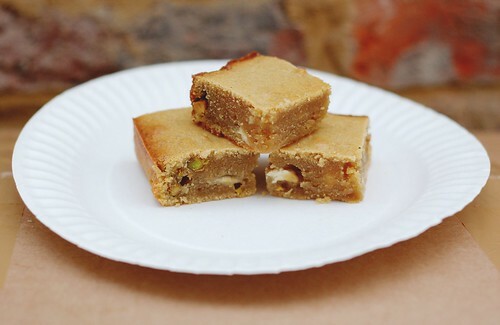 Vegan white chocolate & pistachio blondies. Hellooo. ...Yes, I am using a cardboard moving box as a photography backdrop. And a paper plate. And a mug of unknown origin. In my defence, my pretty plates and cups are inside said box, so I've decided to make it a theme - not the fun kind of theme, like 'the Great Gatsby' or 'enchantment under the sea'; more like 'living in squalor'... but you get the idea. Although I jump on any excuse to bake, I've been getting emotional over the smallest of things this afternoon - finishing my bag of spelt flour? Heartbreaking (and not just because I really like spelt flour). Packing my teapots in bubblewrap? Kill me now. It's hard not to notice endings, all the things we'll lose. The natural lighting in the shack that's perfect for food photography. The back garden, where we drink Pimm's and sunbathe with the neighbours' cats. The freezer gets emptier; old clutter begins to be siphoned away into black bags. In a few days more, our fingerprints will be erased, and the house will stand, blank, for someone else. The word we are supposed to use is 'liberating'. It is liberating - we are young, with no responsibilities; we could be or do anything - literally anything - at this point. But it is also terrifying. We could be or do literally anything. We're expected to. 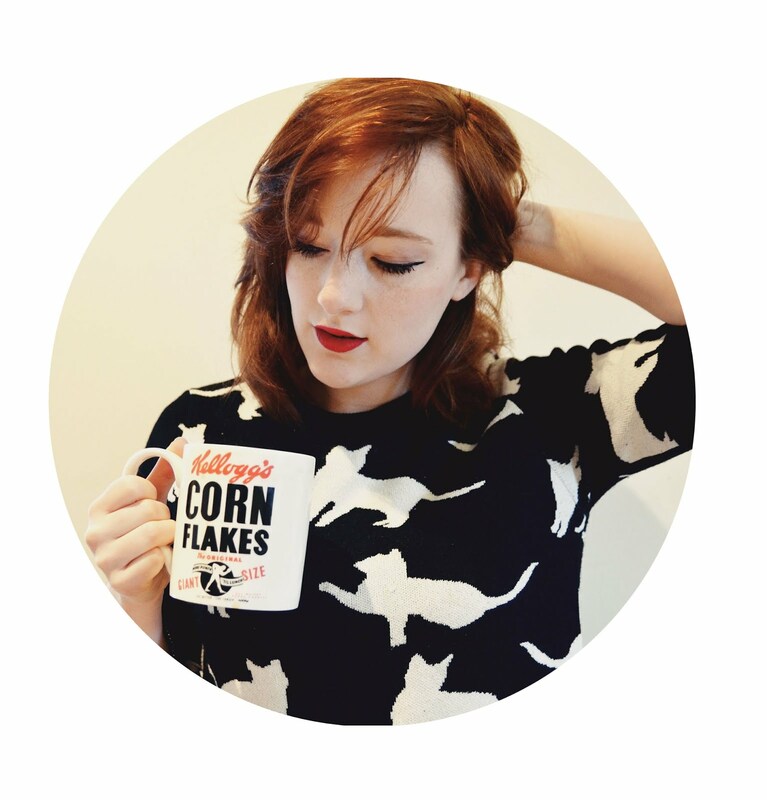 The time capsule of education is over, and we're thrown out into the real world with no knowledge of how to do anything that isn't writing essays on critical theory or spending our student loans on clothes (or, um, on crockery, in my case). Inside, we're freaking the hell out. We touch each other more than usual, this week; fitting in extra hugs and brushing fingers. Millie cries periodically. 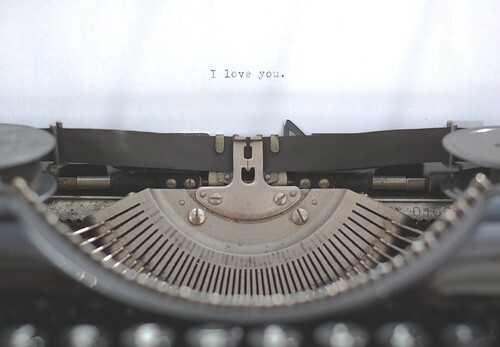 I write conversations into my memory even as we're having them. We are all conscious that, even if we stay friends for the rest of our lives, these two years together, here - the six of us as we are - are a home we can't return to. People say to think about beginnings, rather than endings, but I don't think it matters. What's important to me is that we've had this. Maybe we won't love each other forever, but what matters is that we've loved each other now. That's been real. It's been part of my life, and that can't be undone. So, we'll end on a sweet note. 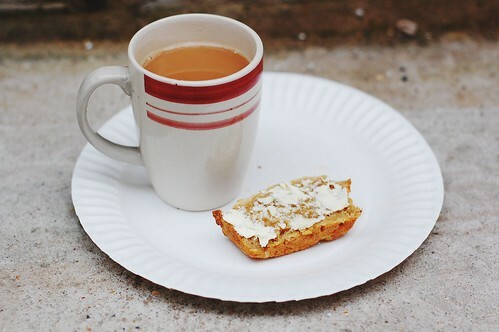 A banana-bread-and-Yorkshire-tea-for-breakfast and squidgy-blondies-on-the-sofa note. 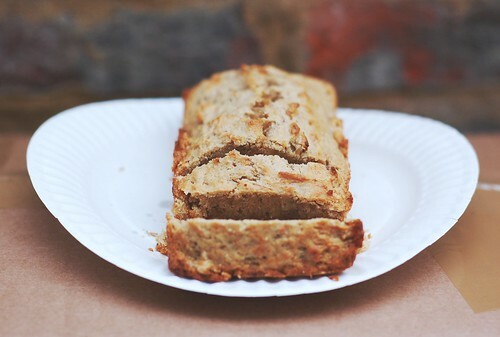 The banana bread is dense and wholesome, and even kind of healthyish? The blondies aren't even trying. But you should know that these are the best blondies I've ever made, vegan or not. I know, right? Preheat oven to 180C (350F) and line a 9x5" loaf tin. Mash up the bananas in a small bowl, and mix in sugar, oil and vanilla. In a separate, larger bowl, sift together spelt flour, bicarb, bp, salt and spices. Pour the wet ingredients into the dry and stir until just combined; do not overmix. Pour batter into loaf tin and bake for around 40-45 minutes (I made a half sized loaf, and baked for 25mins). Allow to cool before slicing and eating with butter or vegan margarine off a paper plate, crossed-legged on the floor, with a cup of tea. Oven to 180C (350F). Line a 8x8" square baking tin. In a medium saucepan, heat the margarine on the hob until melted, then remove from the heat and stir in the sugar. In a blender (I just used a hand blender), whizz the tofu until smooth - I needed a dash of soya milk today, but it depends on the consistency of your tofu. Add the tofu, vanilla and salt to the pan. Lightly stir in the flour, pistachios and white chocolate, then pour into the prepared tin. Bake for around 35-40 minutes until firm and golden but still fudgy on the inside. Eat these on the sofa while watching appalling television. 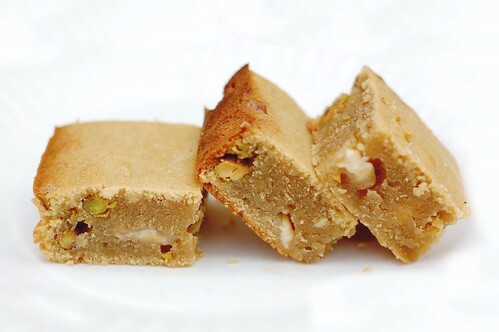 ps: will be trying the white chocolate& pistachios blondies, thanks for the recipe and be well! Thanks Ruthie, hope you enjoy the blondies! Oh my gosh, white chocolate + pistachio = heaven! These blondies sound heavenly. You can count on my watching appalling television while eating them! What's up to all, how is everything, I think every one is getting more from this site, and your views are good in favor of new viewers. It's amazing to pay a visit this web site and reading the views of all mates about this paragraph, while I am also eager of getting know-how. professional blogger. 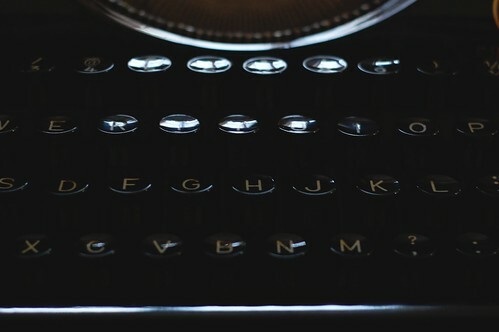 I have joined your rss feed and sit up for looking for extra of your fantastic post.